Call Us For a Plumbing Inspection Today. So many homes and businesses don’t have a plumber out until there has been some kind of problem. At All About Plumbing & Septic, we think that preventative maintenance is just as important as anything else. Our plumbers want to stop the problem before it turns into anything major. We are dedicated to keeping your life running as smoothly as possible and the best way to do that is to get a plumbing inspection done. A plumbing inspection will be able to look for things like gas leaks, cracks in your foundation, water heater damage, and any type of leak. We have a protocol that we follow and are extremely thorough with everything that we are looking for through this process. Once we have completed the inspection, we can go over it with you and point out any issues that we find. This is also a great opportunity for you to ask questions and get price quotes on the things that you need to have fixed. A plumbing inspection should be done once a year to be the most effective. When you have a plumbing inspection done on your commercial building, it can be a great way to help keep everything running smoothly so that no major disasters occur. When you have large buildings with a lot of plumbing, it can be more common for issues to arise. By keeping your plumbing up to date, you will avoid things like water heater malfunctions, clogged drains or toilets, and avoid leaks. This will help productivity because if you end up having plumbing issues, you may not be able to keep people while you are having it fixed. Water Lines – We always want to check and make sure that there are no exposed water lines. These can become damaged and cause a lot of problems and leaks. Drains – Checking your drains means making sure that water is flowing down correctly and that there are no clogs. Sometimes people don’t even realize that their water is flowing down their drain slower than it should be. When we notice this, we can go in and see where the clog is and discuss a few different ways that we can get the clog out. Flowing Issues – We always want to make sure that your pipes are flowing the way they are supposed to. Your toilets will be checked and made sure that there are no issues with the way that the water goes down them. Water Heater – Making sure your water heater is working the way it should be is crucial to keeping your home running smoothly and without any issues. If you don’t have hot water in your home, it will affect many different things. You will not be able to shower, do dishes, or even do laundry. This is a serious problem and nobody can live this way so it will need to be taken care of as soon as possible. We will do a full inspection of your system and make sure that it is working correctly and not showing any signs of aging or damage. Overall Plumbing Quality – Overall, we want to make sure that your home or business is working the right way and that your plumbing is not something that you have to worry about. Doing a regular plumbing inspection is something that you should be proud that you are doing. You are taking the proper steps you need to take to be able to keep your home working the way it should. We Check Everything To Make Sure It Works. When it comes to trusting someone to make sure that your home and commercial building are working the way they are supposed to, the plumbers at All About Plumbing & Septic are here to make sure that you are taken care of. All of our plumbers go through a pretty rigorous screening process with drug testing when we hire them. We always want to make sure that the people that are coming into your home or place of work can be trusted, not only to do a good job, but to take care of any plumbing problems that might be there. Our team has many plumbers that have many years of experience and training as well. We always look for anything that could be wrong and never skip steps when we are doing our inspections. We understand that you count on us to tell you what is going on with your plumbing and that is exactly what we will do. When you need a plumbing inspection in Mills River, Hendersonville, and Asheville, NC, call our team at 828-778-2425, and we will set up an appointment, whenever it is convenient for you. A plumbing inspection is something you will never regret doing and when you call us, we can go over anything with you and help answer any questions that you may have. 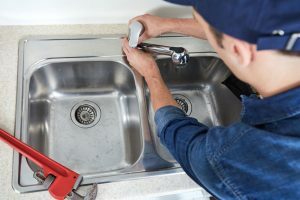 Updated on January 22, 2019 at 10:54 am by All About Plumbing.